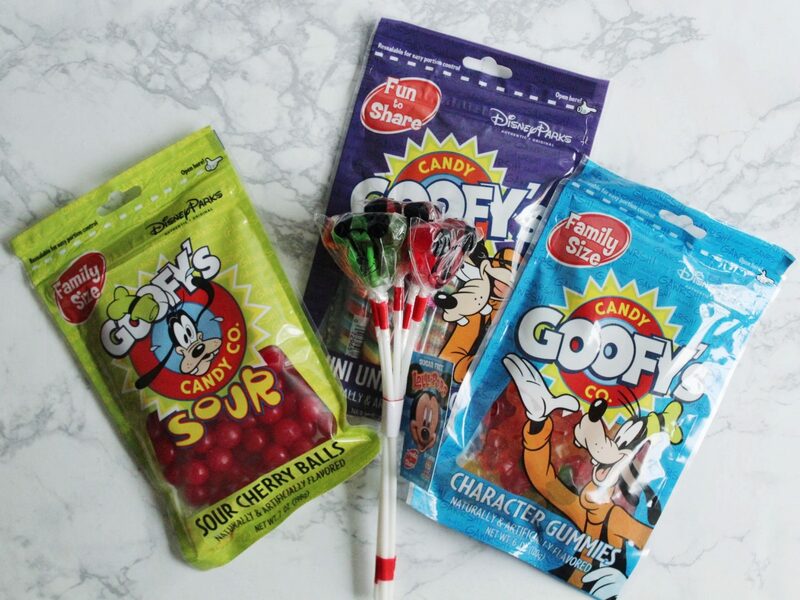 If you’ve been following along with my monthly Disney Hauls then you already know how much I LOVE Disney sweets! 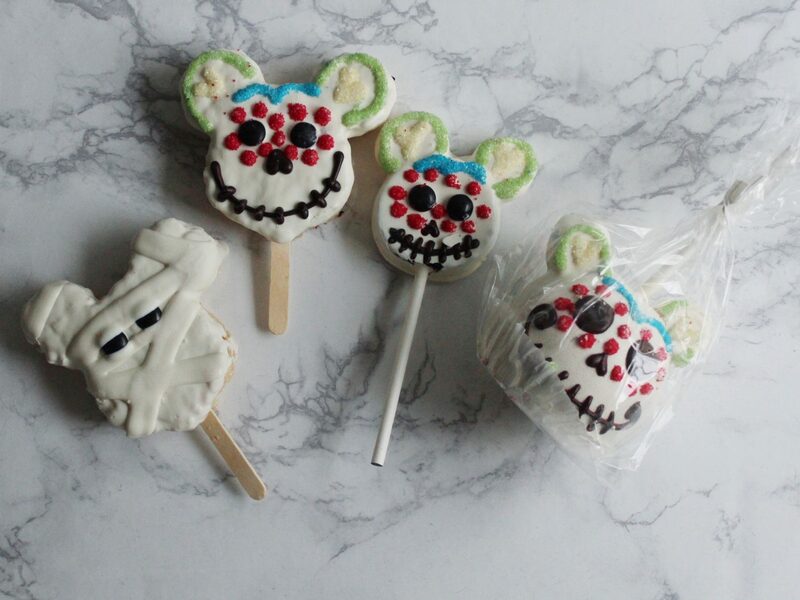 I love all the Halloween themed goodies the Disney Parks have during this time of year and I couldn’t resist bringing home a Dia de los Muertos candy apple, cake pop and Rice Krispies treat and a mummy Rice Krispies treat. Continuing on with the treats theme, I also brought home some Goofy’s Candy Co. sour cherry balls (which are my FAVORITE), Goofy’s Candy Co. character gummies and Goofy’s Candy Co. mini unicorn pops (since they’re three for $15). I also got a five pack of Mickey lollipops. 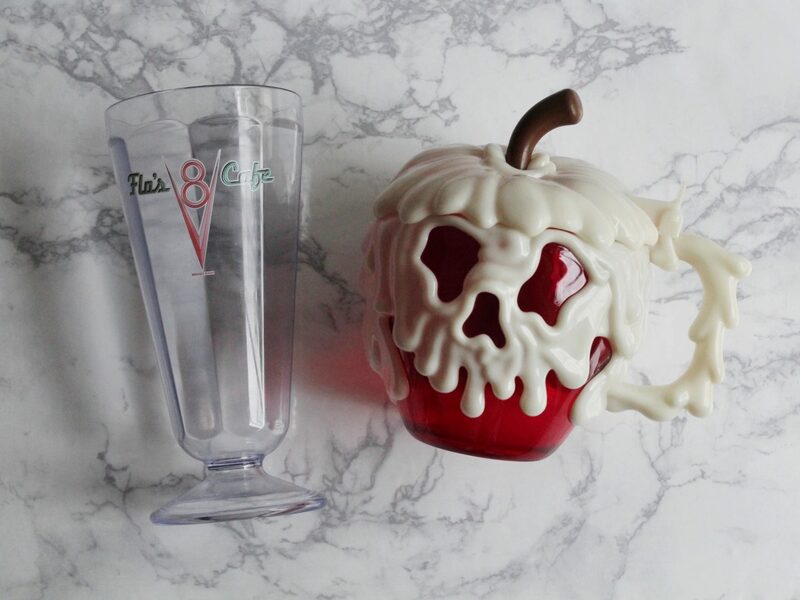 I was so HAPPY that I was FINALLY able to pick up a poison apple mug (I’ve been wanting one ever since last October when I attended Mickey’s Halloween Party but they unfortunately sold out in record time)! On the first day of my trip they randomly restocked the poison apple mugs (which were previously sold out), so of course I HAD to grab one. During my trip I had a (delicious) milkshake at Flo’s Cafe and decided to pay the extra $6 (I think) dollars for the souvenir cup (you all know what a sucker I am for souvenir Disney cups/mugs!). 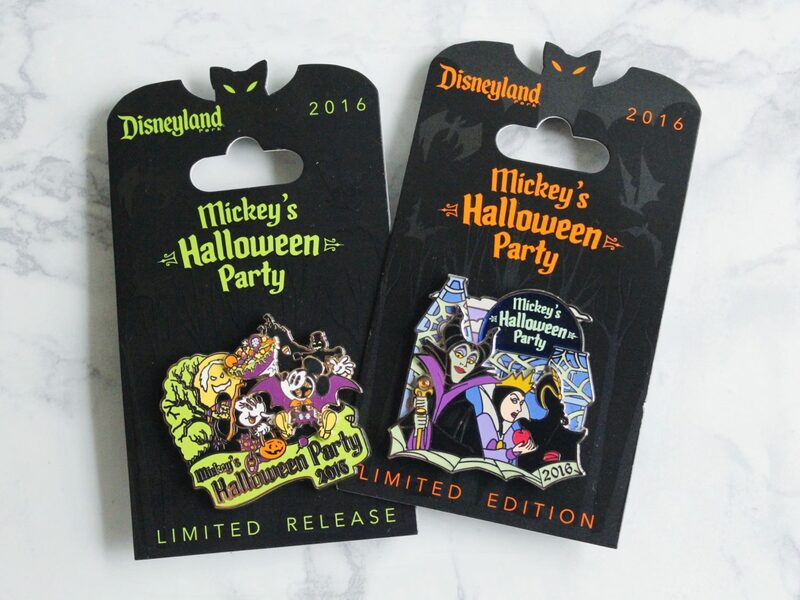 I wasn’t planning on getting any pins during this trip but I feel in love with these adorable Limited Release and Limited Edition Mickey’s Halloween Party pins. How awesome is that villains pin? 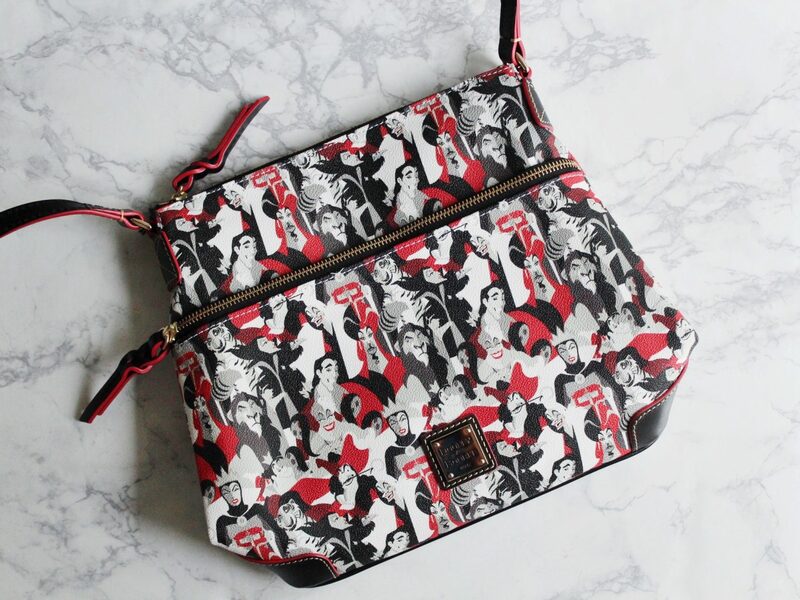 Speaking of Disney villains, the new Disney Villains collection from Dooney & Bourke JUST debuted at the parks so of course I had to pick up the crossbody one! 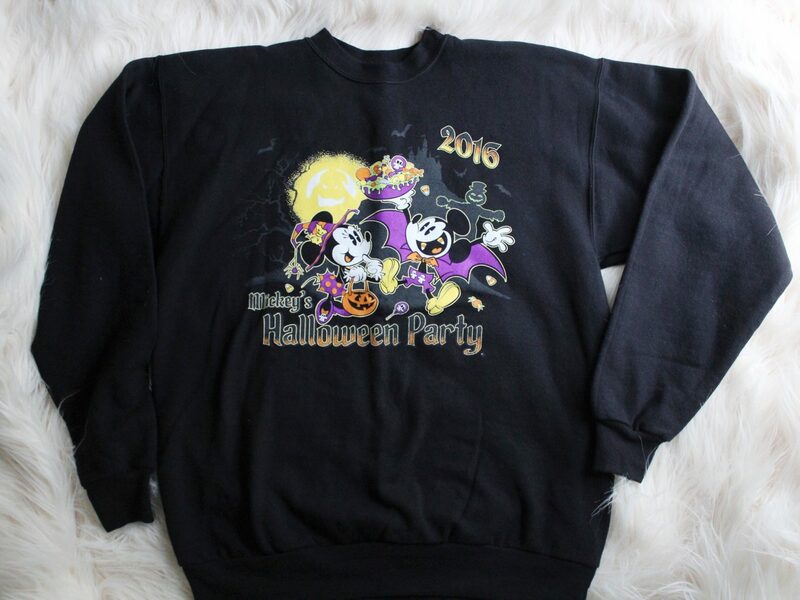 I know I’ve said this a few times before on the blog but I just LOVE Disney villains (of course I love Disney princesses too but the villains have always appealed to me a little more!). I wasn’t always a huge fan of the Disney Dooney & Bourke bags but ever since I got my Epcot International Flower and Garden Festival exclusive Dooney & Bourke bag last May (which was my first ever Disney Dooney & Bourke bag), I’ve started to come around to them. I also picked up this ADORABLE Disney Boutique purse (my current Minnie purse is also Disney Boutique and I LOVE it!). 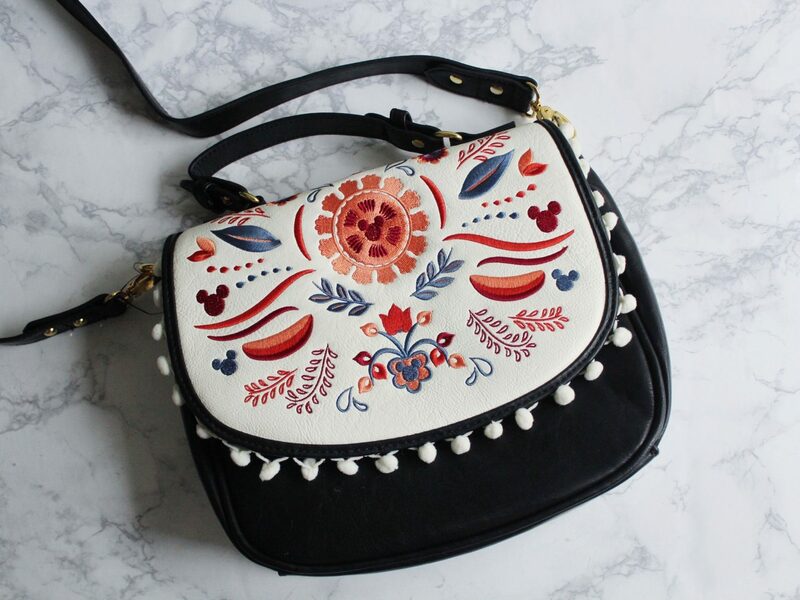 I love that this purse is Disney without screaming “Disney.” The little Mickey icons aren’t even that noticeable (which I really like). I’m not much of a jewelry person. 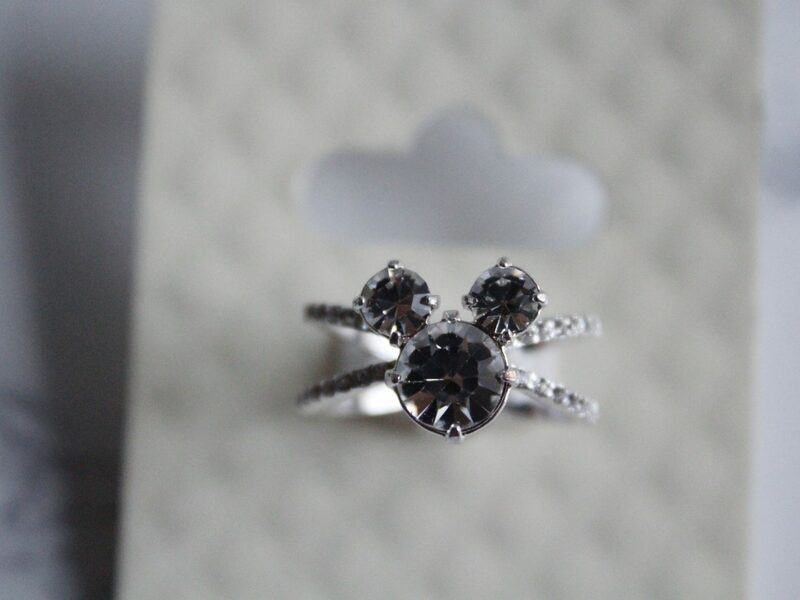 In fact, the ONLY jewelry I wear is my Disney Alex and Ani bracelets but I just fell in LOVE with this adorable Mickey ring! Chip ‘n Dale are my all-time FAVORITE characters but unfortunately there isn’t that much Chip ‘n Dale merchandise out there (at least not in the US Disney Parks. 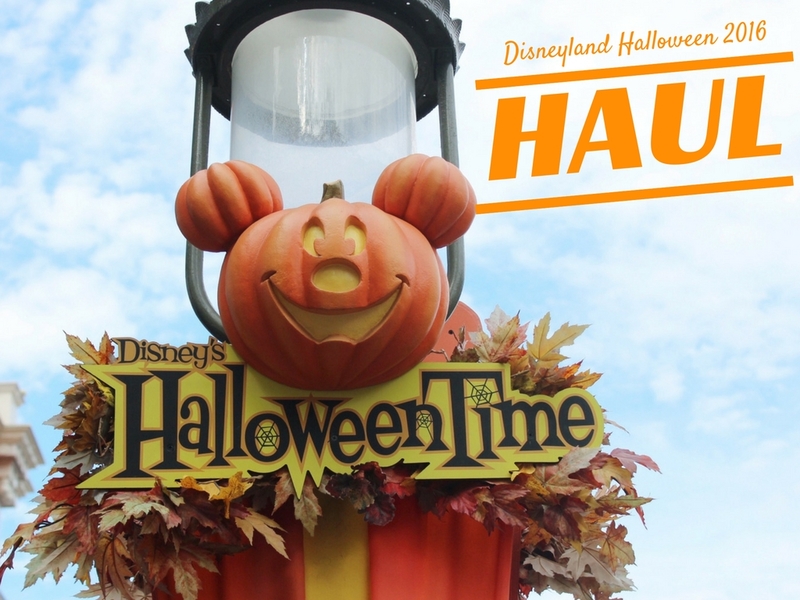 Gosh, I can’t WAIT to visit Tokyo Disneyland, Hong Kong Disneyland and Shanghai Disneyland SOON!). 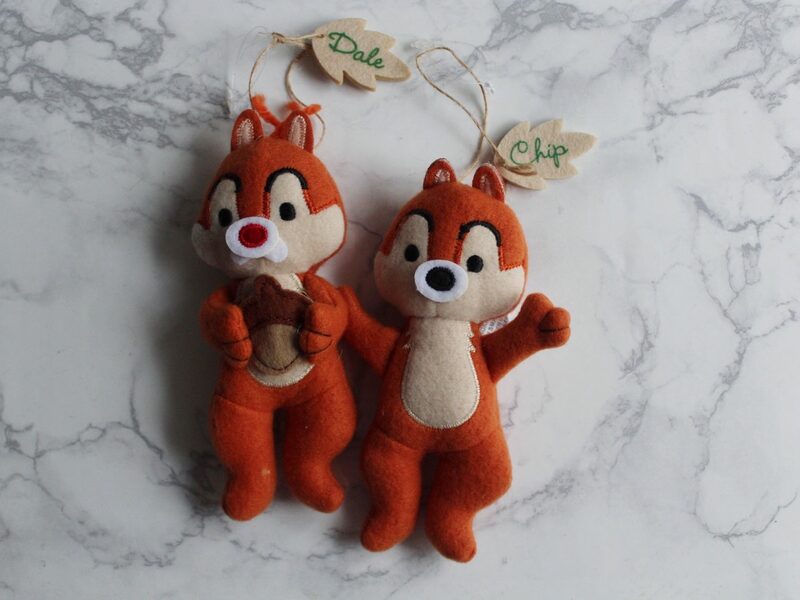 How adorable are these Chip ‘n Dale Storybook Plush Ornaments?! 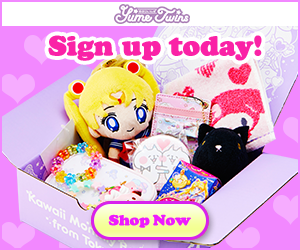 I love them so much! 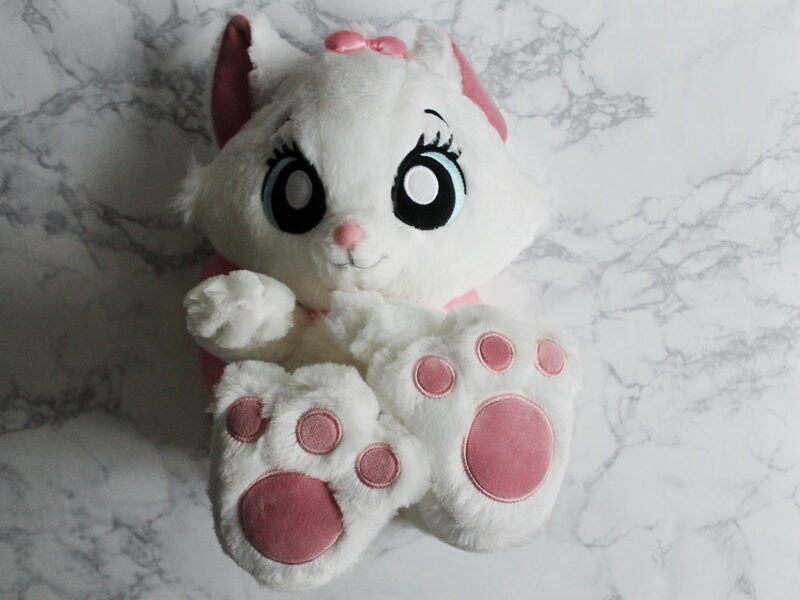 It wouldn’t be a Disney Haul without a least one plushie, am I right? These “big feet” (that’s what the Disney cast member called them) plushies are new to the Disney Parks and they are so adorable. 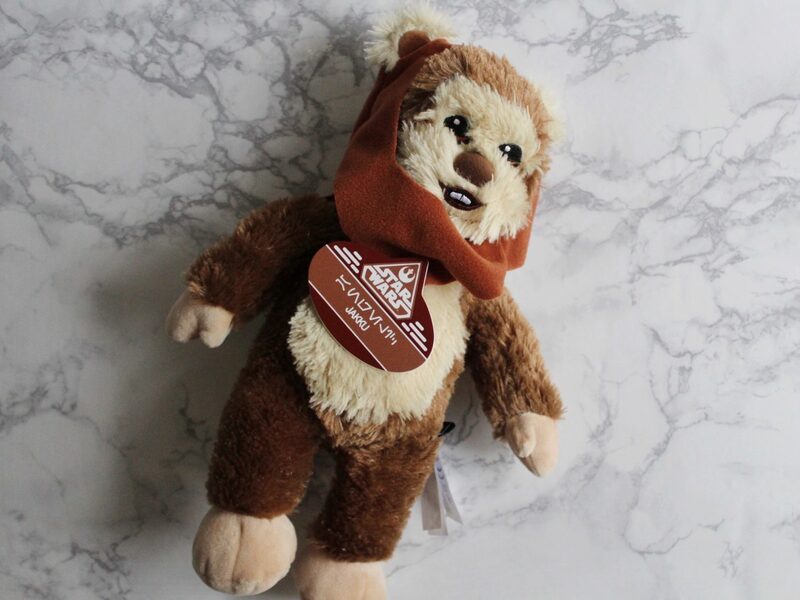 Since I had a Build-a-Bear gift card, I decided to get an adorable ewok plushie while I was in Downtown Disney. I also (finally) got a personalized Star Wars name tag (it spells my name, Angelic, in Aurebesh) from Tomorrowland. 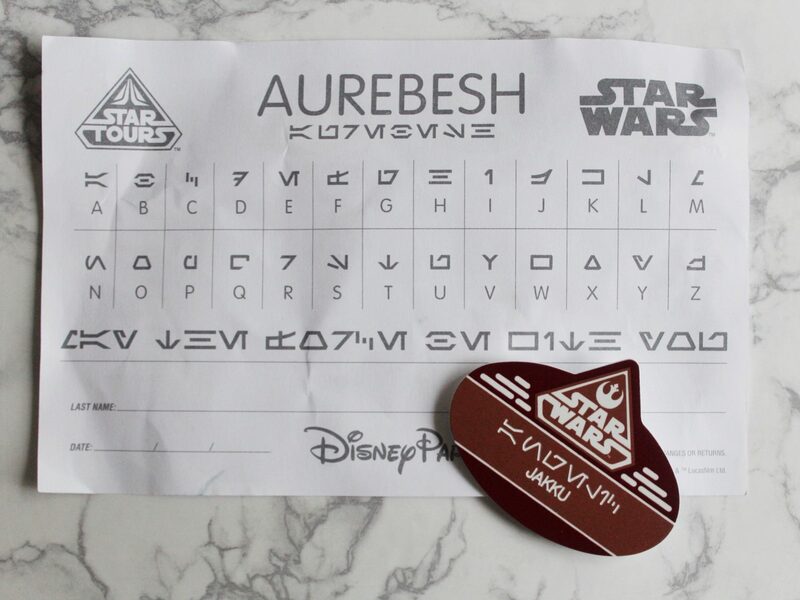 Try spelling your name in Aurebesh! (Also, did you notice it says I’m from Jakku? That’s because me and Rey were neighbors way back when!). 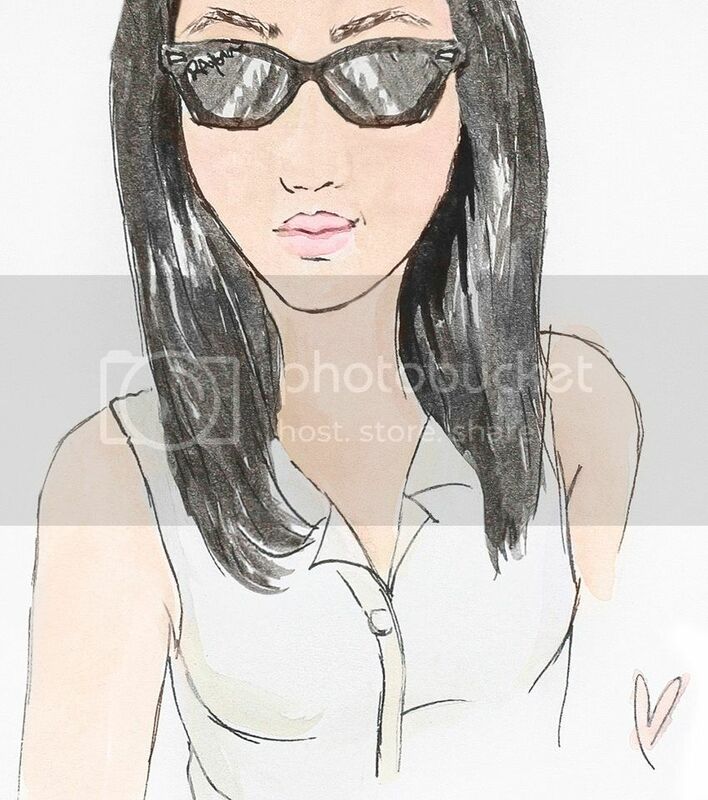 One of my favorite things about this time of year is the gorgeous fall weather! 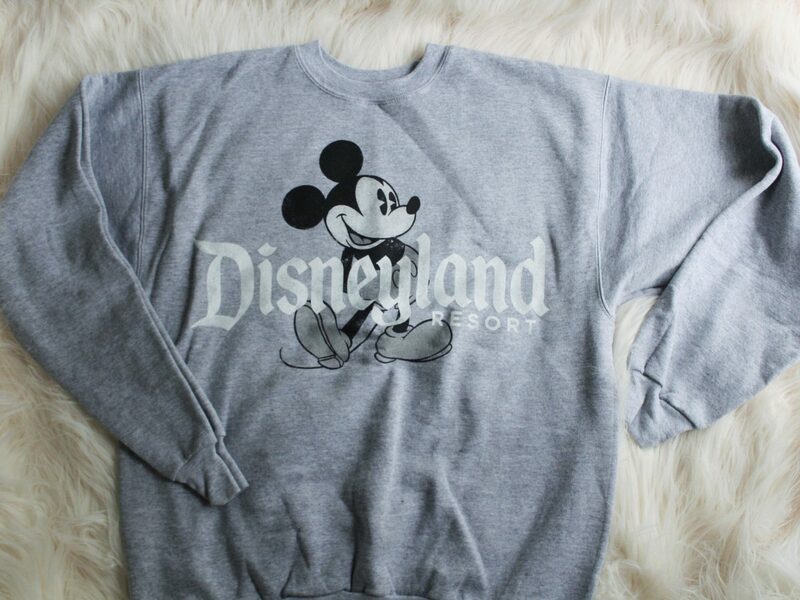 I love getting to wear all my warm pullovers and hoodies. 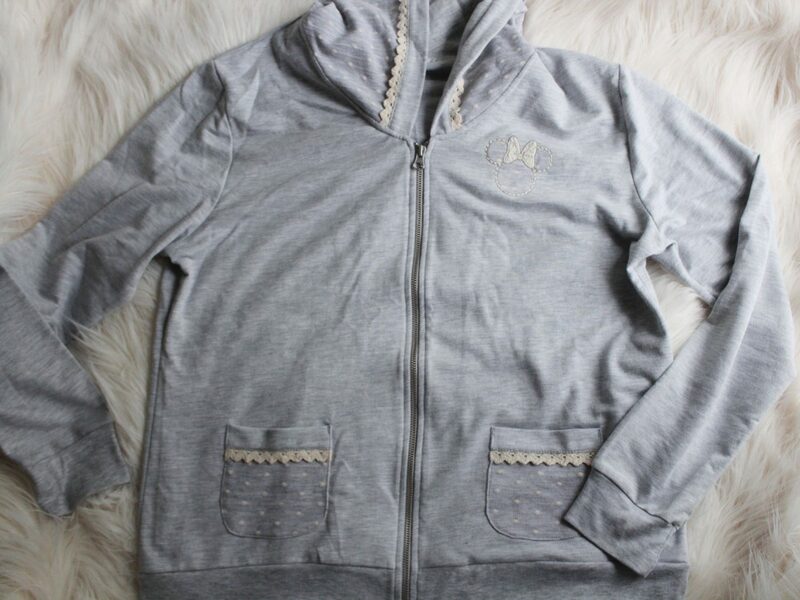 This trip I picked up a cute gray Disney Boutique Hoodie (I’ve actually been meaning to buy this hoodie for over a year now but I just never did) and three new Disney pullovers (I can’t wait to wear the holiday one while I’m at Disneyland Paris this Christmas!). 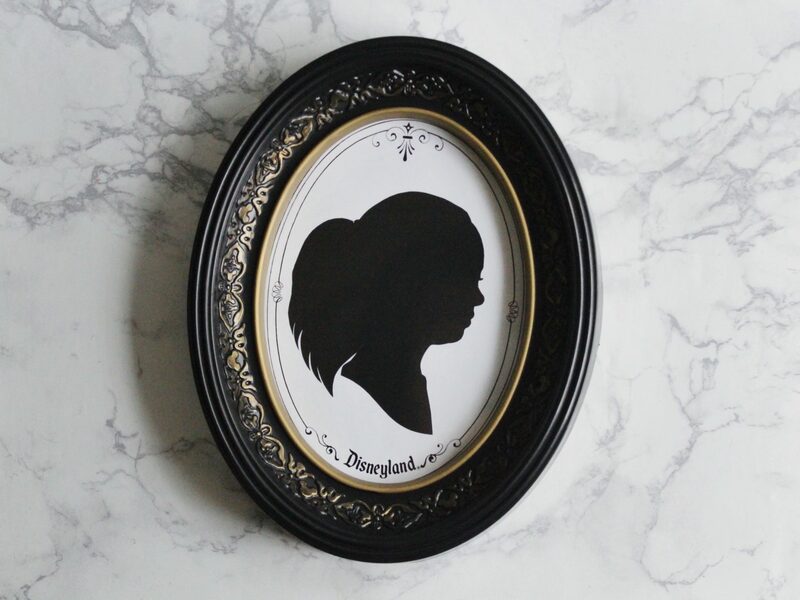 The final thing I got while I was at Disneyland was a silhouette portrait from the Silhouette Studio on Main Street, U.S.A. I’ve been wanting one of these for the LONGEST time so I’m so happy I finally bit the bullet and got one. They’re only $9.99 so they’re definitely worth the price (in fact, I think they are one of the most unique and reasonably priced souvenirs you can get from Disneyland). 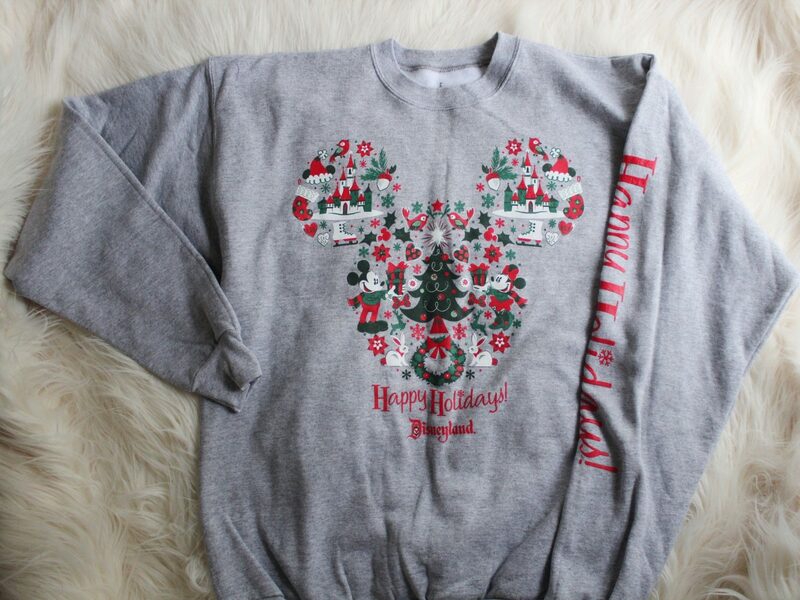 I do suggest paying the additional $18 for the frame though (the frame even has hidden Mickey’s in the pattern).